An honour roll commemorates 66 who served and died in World War One. 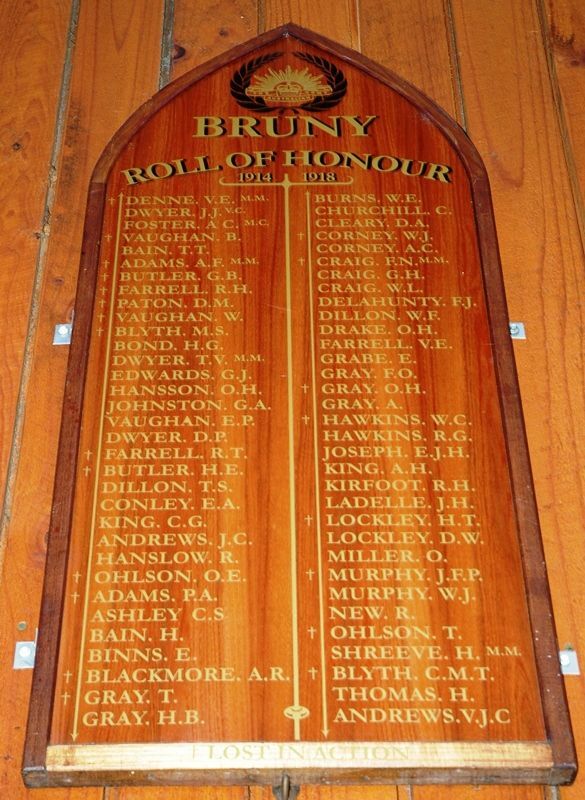 The temporary honour roll of the Bruny Municipality was unveiled by the Governor of Tasmania on the 26th November 1919. The roll contained the name of Lieutenant J.J. Dwyer a Victoria Cross recipient. The honour board was made by Mr A.H.Denne of North Bruny out of Bruny wood and the lettering was executed by Miss Edna Denne of North Bruny. The Mercury (Hobart), 26th November 1919.